Purity is the writer’s most limber, enjoyable novel yet. Photo illustration by Juliana Jiménez. Photo by Slaven Vlasic/Getty Images for the New Yorker. Jonathan Franzen’s fifth novel, Purity, appears, like his previous one, Freedom, amid the media equivalent of the fog of war. There have been trumpeted interviews and fatuous raves, but also misleading headlines, Twitter diatribes, backlashes to the backlash and a deluge of emptily sassy online retorts aggregating all of the above. Low-key irony and a stickler’s insistence on saying exactly what one thinks have never played well in the press, so this author—whose original sin consists of being inanely praised in the New York Times Book Review and declared a “Great American Novelist” on the cover of Time—has only succeeded in compounding the murk. Someone has to be the face of every (real and imagined) injustice writers face when negotiating the publishing establishment; it’s so much more fun to hate a face. In truth, only a fraction of actual readers will have to fan and cough their way through the social-media fuss to get to the novel at the center of all this, arriving, unfortunately, with a bad taste in their mouths. (Apologies if you’re part of the larger group.) And what a limber, untroubled, deliciously fluent piece of fiction it is. Freedom sometimes felt overdetermined and overworked, burdened by a responsibility to weigh in on the state of 21st-century American marriage. Purity, by contrast, has a larkish air. True, the title is portentous; yes, some passages address this or that big issue: the fall of the Eastern Bloc, the disintegration of privacy in the Internet era, the puzzle of revising gender roles, the toxin of celebrity culture. All that, however, feels almost vestigial or even playful, remnants of the “serious” tag affixed to a novel that in truth has happily surrendered itself to the pleasures of story and character. Purity “Pip” Tyler is a young woman of uncertain parentage; her mother admits to living under an assumed name and refuses to reveal anything about her daughter’s father. A recent graduate living amid squatters in a foreclosed house in Oakland, Pip carries $130,000 in student loans and thinks it’s about time that her doting but unworldly mom—she bags groceries in a natural-foods store and lives in a cabin in the Santa Cruz mountains—deliver the goods. Perhaps, Pip thinks, her biological father might be persuaded to pay off some of her debts. In the pages to come there will be secrets, a conspiracy, a murder. A horde of supporting characters will crowd their way onstage. Fortunes will rise and fall. Purity resembles a 19th-century novel in those respects, and also in its willingness to sacrifice a bit of realism for the sake of enhancing the plot. However, Franzen has never been a sentimentalist, and his prose, while lively, lacks the highly colored exuberance of Dickens, Pip or no. Trollope, with his Olympian yet tender irony, seems a truer comparison. Trollope’s characters were never the least bit aware of themselves as such. Franzen’s, children of the mass media, can’t help but see themselves from without, as potential figures in a story. Pip calculates the paltry number of times she has looked in a mirror and been able to perceive “someone pretty, rather than someone who, if it had been anybody but her, might have been considered pretty but, because it was her, wasn’t.” The line draws an arc, from a common neurosis to a vexed recognition of the neurosis and its commonness to a sliver of forgiveness for the neurosis (and its commonness) and finally to the promise of someday getting over it. Pip may be convinced she’s a basket case (she blames this on excessive devotion to her mother), but you can tell that in time she’ll figure it out. Skeptical, loyal, self-deprecating, determined, Pip provides the novel with a grounding sensibility. Then the narrative shifts to Andreas Wolf, a German who specializes in exposing shameful secrets on the Internet via an outfit he calls the Sunlight Project. Where WikiLeaks and Julian Assange are “dirty,” “Wolf is still reasonably pure,” one of Pip’s Occupy friends explains. “In fact, that’s his whole brand now: purity.” The story of Andreas’ East German youth, however, is anything but clean. The child of a top-ranking bureaucrat and a seductively manipulative, covertly crazy academic, he published a scandalous poem in his 20s containing an obscene acrostic jibe at both his mother and socialism. After, he thought of his chronic philandering as a sardonic riposte to the lies of the totalitarian state—until an angelic 15-year-old girl came to him with a terrible problem that awakened his conscience to action. The literary references here, sprinkled with a lavishness that seems almost diversionary, are darker: Hamlet, Kafka, Dostoyevsky. Each of the six parts of Purity is told from the point of view of one of four characters: Pip, Andreas, and a couple Pip will meet when she gets a job as a research assistant at a Pro Publica–style investigative news service: a Lebanese-American reporter named Leila Helou, and her editor Tom. (His section comes in the form of a memoir of his failed marriage.) The latter three are all middle-aged, and whether they fully realize it or not, each vies for the quasi-parental role of Pip’s mentor— although Andreas, being a wolf in both name and deed, also wants to sleep with her. The most shamelessly entertaining sections are Leila’s—a depiction of how journalists work meticulously enough to rival Janet Malcolm’s—and Pip’s internship at the Sunshine Project’s compound in Bolivia. Much rawer is Tom’s account of his youthful marriage to and divorce from a high-strung agribusiness scion named Anabel. Where Andreas makes a (false) public performance of purity, Anabel pursues a quixotic private one. She has spent her adulthood repudiating her fabulously wealthy family, fortifying herself against their money—as well as against the media, meat, loud noises, and unpleasant smells, among many other outrages. Her relationship with Tom becomes a baroque tangle of reproaches and prohibitions, “a matter of processing, endlessly, what I or someone else had done to make her feel bad,” and the long passages of their dialogue are a symphony of nightmarish dysfunction. She asked me if I’d thought she would be disappointed that I wasn’t spending the night. This part of the novel has, obtusely, been interpreted by some readers as a rebuke to feminism, although Anabel isn’t any more representative of feminists than she is of vegans or, for that matter, female characters in Franzen novels. These are simply the forms and rationales that her horror of the world and its pollutants takes. It seems pointless and a shade desperate to read sweeping social commentary into anything that happens to these people; the perverse dynamic between Anabel and Tom is merciless in its specificity. But that’s the peril of a Jonathan Franzen novel at this point; so much extraneous import has been piled onto it, and him, that many find it incomprehensible that every character might not be constantly asserting an op-ed-page argument about the way we live now. 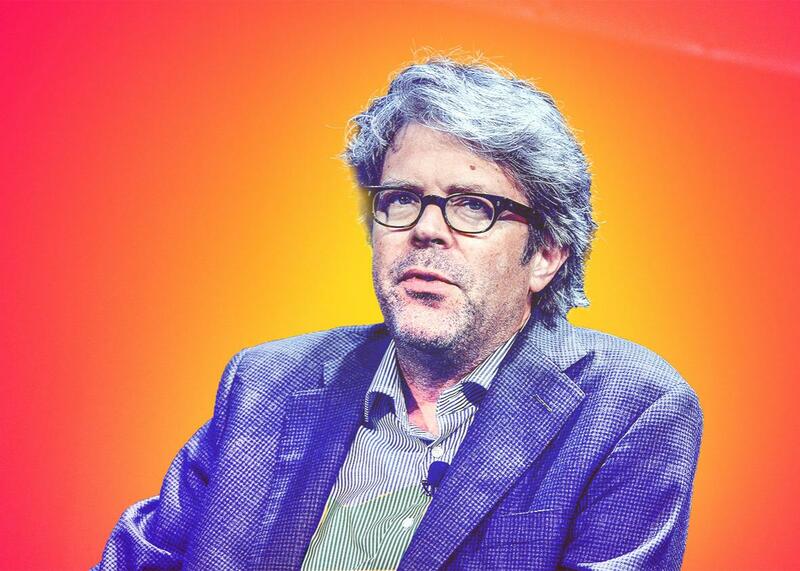 Yes, Franzen tweaks his critics a bit, putting some of their gripes (“So many Jonathans. A plague of literary Jonathans.”) into the mouth of a bitter, washed-up male novelist. He also has Andreas spout Franzen’s own anti-Internet sentiments, though Andreas is nothing if not a colossal phony. You can pounce upon that stuff, screenshot it, and declare it the thematic takeaway if you want. You can dutifully note every reference to a literary giant of the past, even if sometimes the novel often seems to be kidding when it dispenses them. (“Enough with the Hamletizing,” Andreas’ exasperated mother says.) But what a miserable way to read a book as energetic as this! I read these passages as sheer impishness, the high spirits of an author relaxing into his considerable native gifts. Of all the things people expect from a new Franzen novel, who’d have anticipated that more than anything else it would be so much fun? Purity by Jonathan Franzen. Farrar, Straus and Giroux.